ART@TheMix #1: Have You Heard What’s New in Tacoma? Have you ever hosted an event or party and felt so paranoid that no one will show up lol? 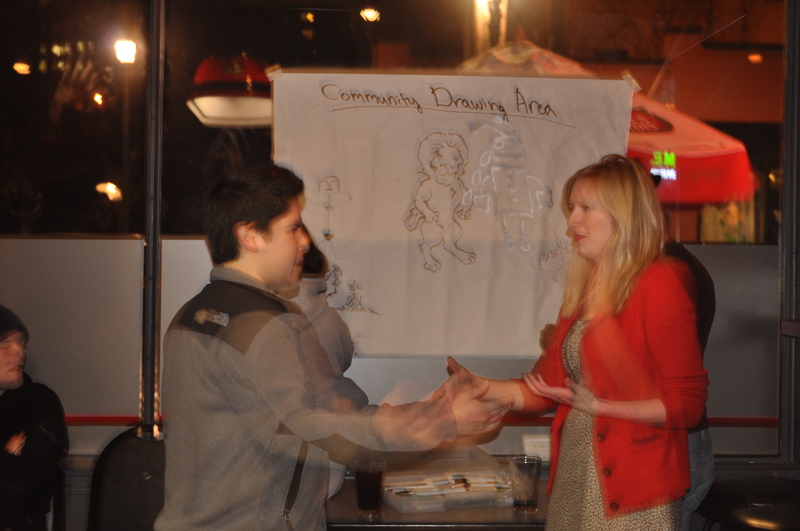 Well here I am super happy about the recent ART@TheMix event I hosted at The Mix in downtown Tacoma on February 29th, 2012. The event started off slow but started to catch more public attention and participants. What is ART@TheMix you ask? Well it’s an art event intended to promote local artists through live art sessions (painting and drawing), bringing the creative community together through live figure drawing session, inviting the creative community to participate art through community canvasses and paper, and providing entertainment for the creative community through male model body painting. 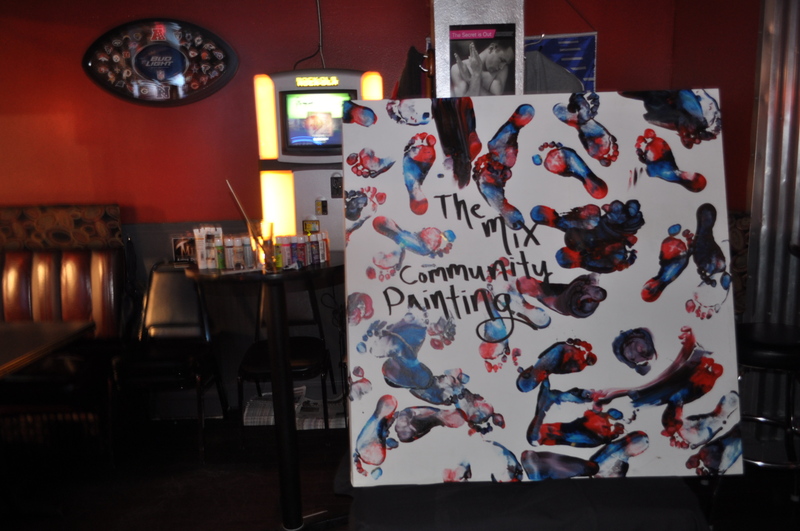 The first ART@TheMix event was completely experimental and never been done before at that establishment. We were starting right when Ryan Mello’s event for the upcoming Hide/Seek exhibition at the Tacoma Art Museum ended, which was great because some people stayed for this event afterwards. We originally intended on holding male model auditions for future body painting at such events. However, I was able to nab 2 potential male models for the next session! I believe having the community (especially the gay community) and artists can participate in the body painting for extra fun. Any models that were chosen will receive one free drink from The Mix. I’m always looking for new ways to bringing the creative community together. I brought in a hardboard canvas (weighing at a million tons) for everyone to contribute art with acrylic paint. I also taped a large piece of paper on one of the windows to encourage everyone to contribute drawings with pencils, colored pencils, and markers. What a great way to add some art into the establishment. Though many local artists expressed interest in participating in live art sessions, I was the only one who brought in an actual painting. Of course in the midst of hosting the event I barely touched my painting lol. 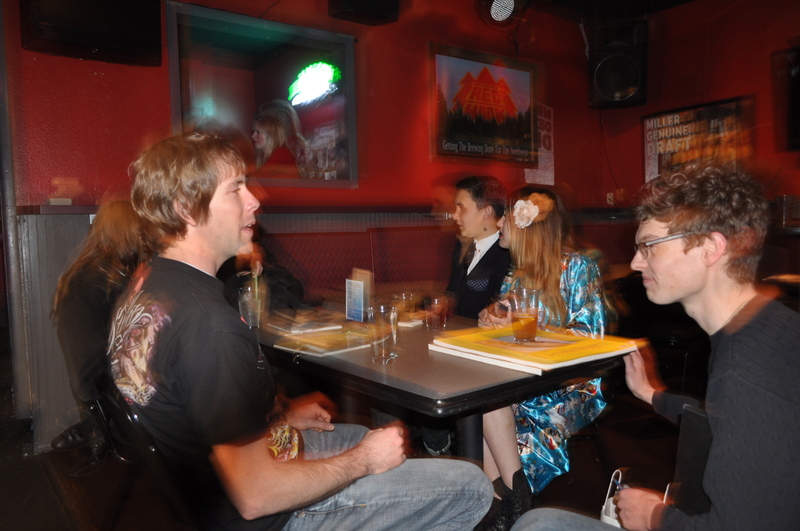 Now that word of mouth seems to be going viral, I anticipate a much more lively crowd next time around. I have already received responses from other potential artists to join the live art sessions. 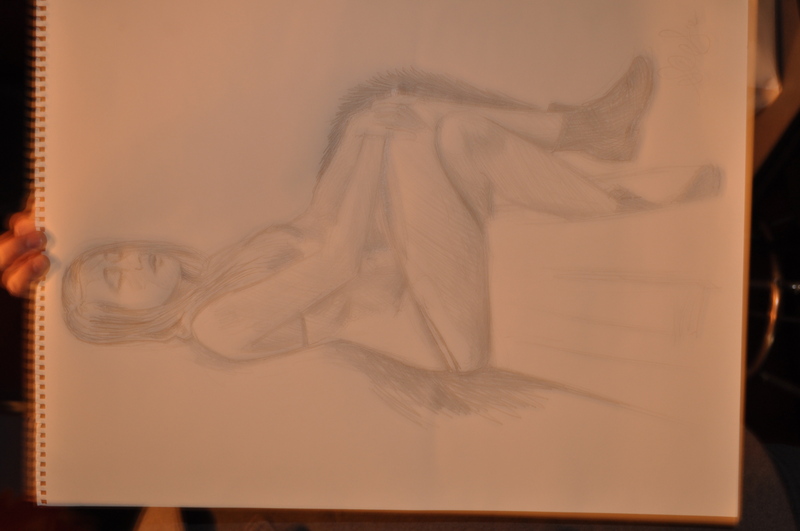 With the live figure drawing sessions we use a live model (Tanita Ross-Cady was our last one) and invite artists and the community to participate. This event is sponsored by the Tacoma Academy of Fine Art with Tim Mansen. He was kind enough to lend his time and help to really get this event going. With TAFA supporting this event and sponsoring, we are supporting local businesses. Tanita, with her beautiful noir look, has previous figure drawing modeling experience and really knows how to work the environment she’s in. Everybody of course loved her and loved drawing her. 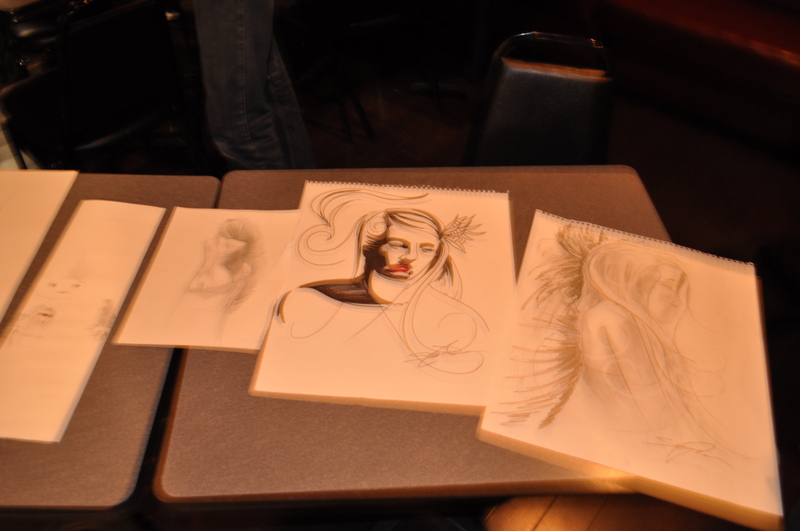 At the end of each session we choose a few drawings to win a free drink and to grace the walls of the Mix for everyone to see. We had two winners for the last event, one being one of my best friend’s brother Steven Church. His work was more representational and technically accurate, while the other was more creative and design-conscious. Check out my previous post on TAFA as well here, as I am under a work-study program as an apprentice for classical painting. Every week I offer 3 hours of my time for marketing and other work-related activities in exchange for 3 hours of classical painting training per week. Essentially Tim Mansen offer’s lessons in figure drawing every Wednesdays and classical painting training every Thursdays, both from 6 PM to 9 PM. Feel free to check out TAFA’s website here. 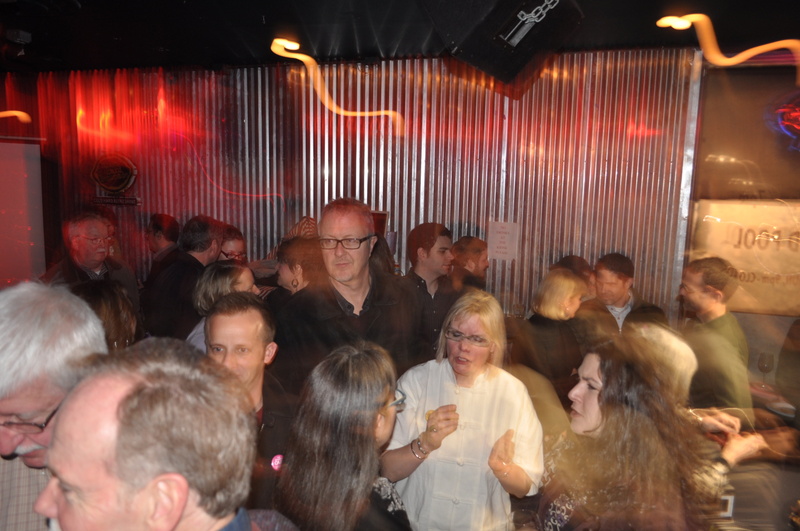 We received great feedback from patrons, staff, and artists and received many inquiries about the next ART@TheMix event or how long this was going on. 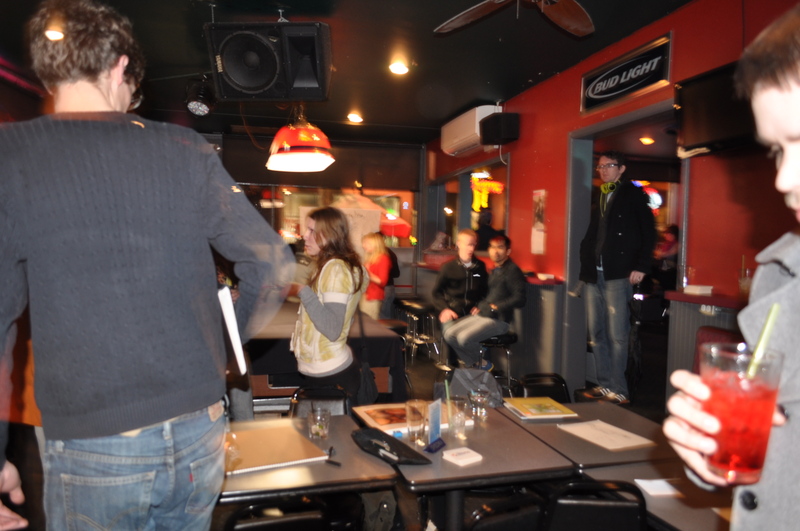 People actually came in later while we were cleaning up and was sad to learn the figure drawing session was over. A lot of people were interested in the figure drawing sessions (did I mention it’s FREE??) and VERY INTERESTED in the male model body painting. The next event will feature such activity, something to look forward to. 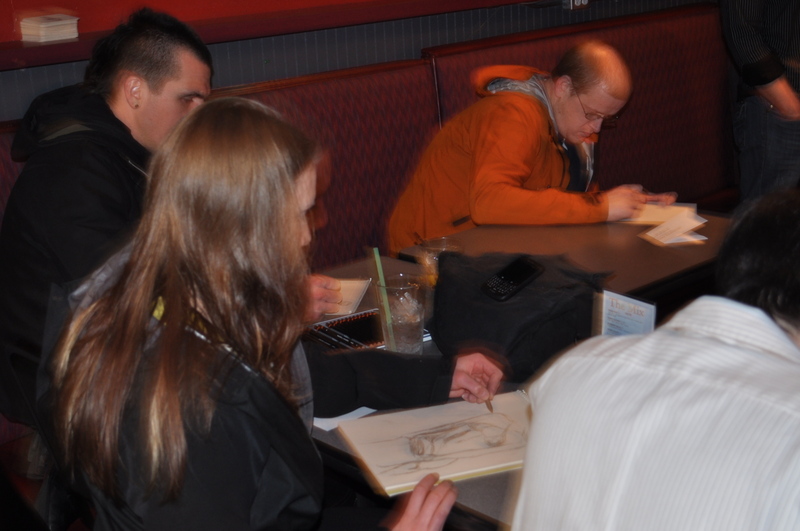 Fortunately the event was well received, which called for more planning on the next event! Based on my schedule I felt that once a month would be feasible, perhaps the last Wednesdays of every month. So the next one I’m shooting for March 28th, 2012. Look for future posts and marketing on this upcoming event! Any suggestions are much appreciated! If you would like to keep up with these upcoming events and stay in the loop, add me on Facebook on my personal profile and my artist page (Julian Pena). You may also subscribe through my website via e-mail here. 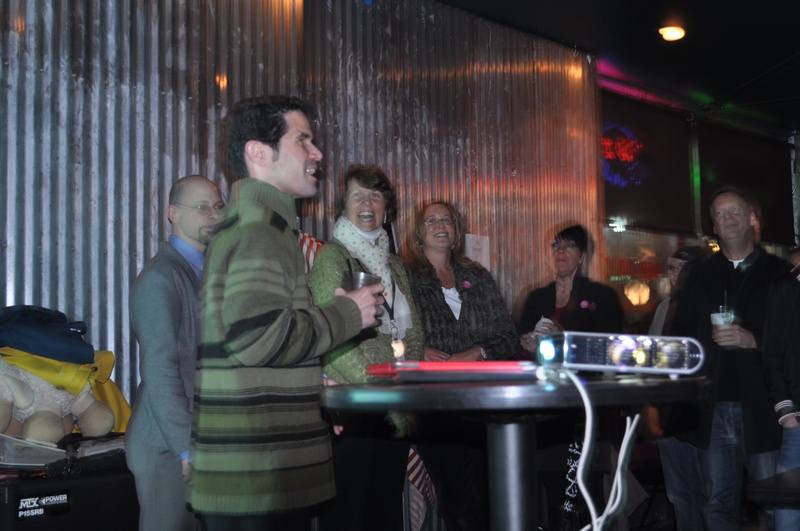 I look forward to the next ART@TheMix event and to see you all! Also, vote for me for “Best Artist,” Tacoma Academy of Fine Art for “Best Small Business,” and Fulcrum Gallery for “Best Gallery” please here!